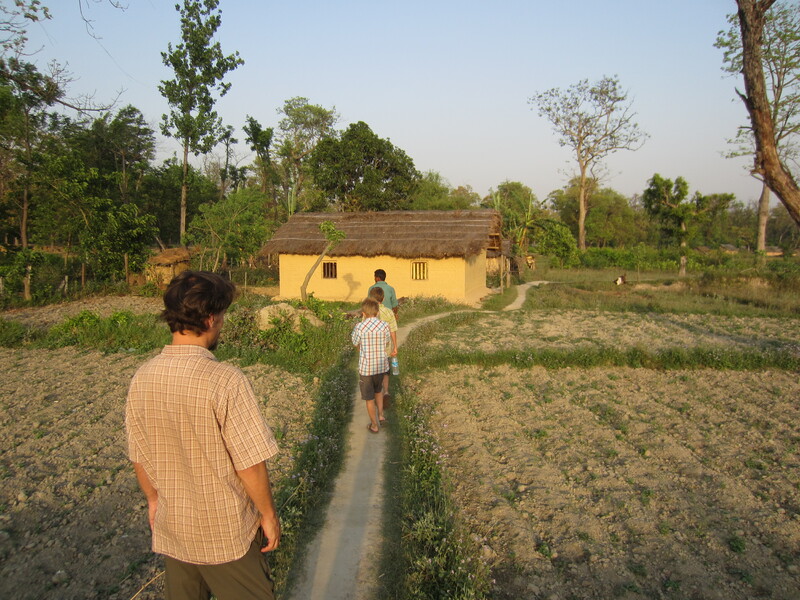 We had the opportunity to observe Nepalese village life close up during our time in Betahani just outside the Bardia park boundary. Our other observations of village life have been in the high altitude areas of Langtang and from the windows of various vehicles as we whiz by on the roads. 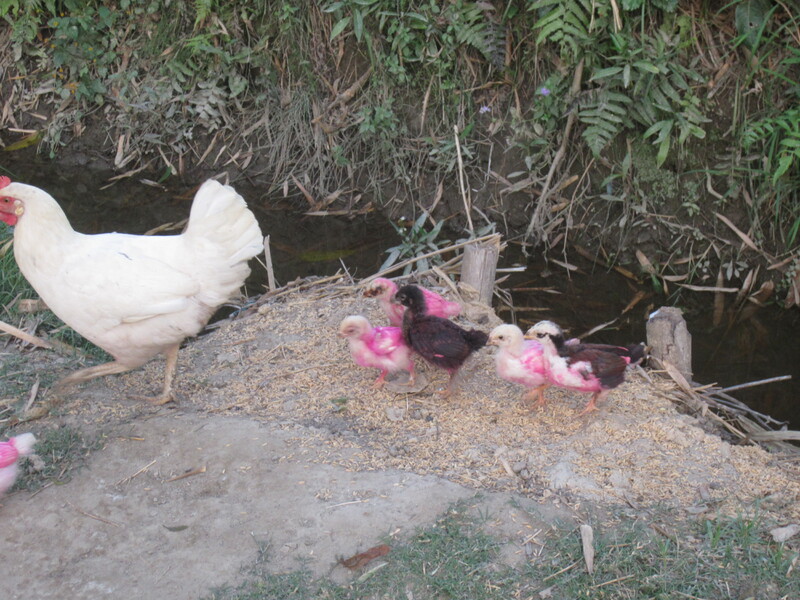 From what we can see, village life in Nepal revolves around food production and preparation. 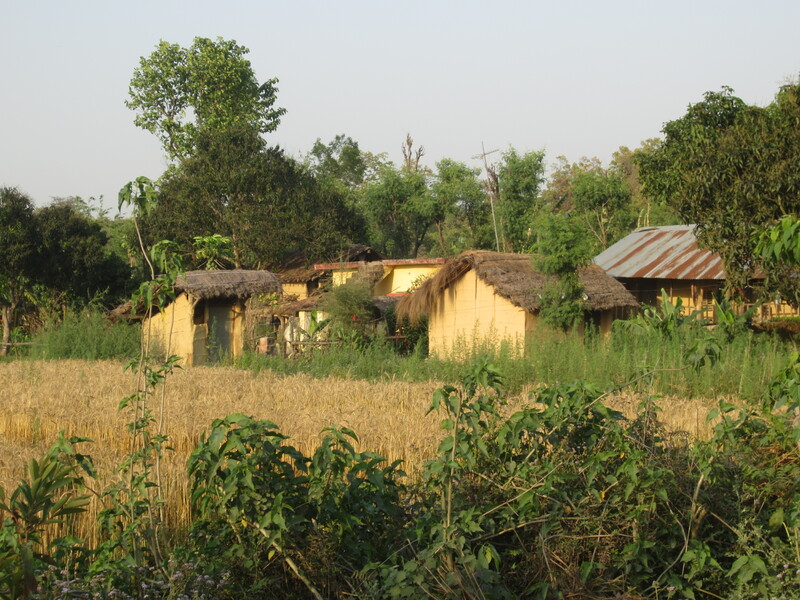 In the Terai, the lentil and wheat harvests are in full swing. In other regions, the wet rice crop is in the ground in anticipation of the coming monsoon rains required to irrigate this water-intensive crop. All of these staples require drying and hulling to remove husks and make the grains ready for consumption. We’ve observed three methods of hulling. Mechanized hulling is rare, but it is available for those farmers who can afford to pay the itinerant hulling machine operator who hauls his rig from village to village this time of year. (Other forms of mechanized farming, such as the use of tractors or rototillers to prepare the soil, are equally rare in Nepal and every other country we’ve visited with the exception of Thailand.) It is less expensive to have a pair of oxen stomp over your rice, wheat or lentils for hours until the grains have been broken loose from their hulls. We observed this method in several villages. Dried lentil stalks are piled on the hard-packed earth while the beasts tread a slow, tight, repetitive circle. When that stage is finished, the husk-less grains must be gathered up by hand and separated from various non-grain items and debris. The resulting small basket of lentils looks paltry against the effort required, and makes one thankful for the rice and beans aisles in our grocery stores. The final hulling method is the “road hull” in which sheaves of wheat are placed on the road in anticipation of large trucks and buses passing by to do the work. The heavy vehicles provide a free hulling service, but it is a dangerous technique (especially for the woman [yes, this is women’s work here] tasked with gathering up the grains at the end of the day), and it makes you wonder about the “natural” ingredients you might find in your bread. Having seen the ox and truck methods in action I will no longer wonder “how did this rock get in my rice?”, and I will take more seriously the suggested first step in most lentil recipes: rinse lentils. Food preparation, which often requires a heat source, is another oft-observed activity. Not just the cooking, but the acquisition of fuel. 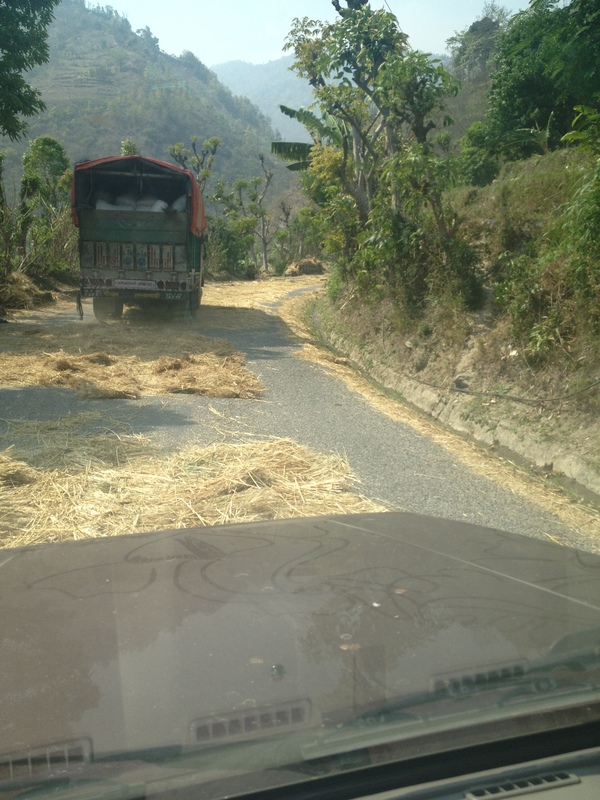 Coming across a shambling pile of sticks and branches is a regular occurrence on the roads and trails of Nepal. 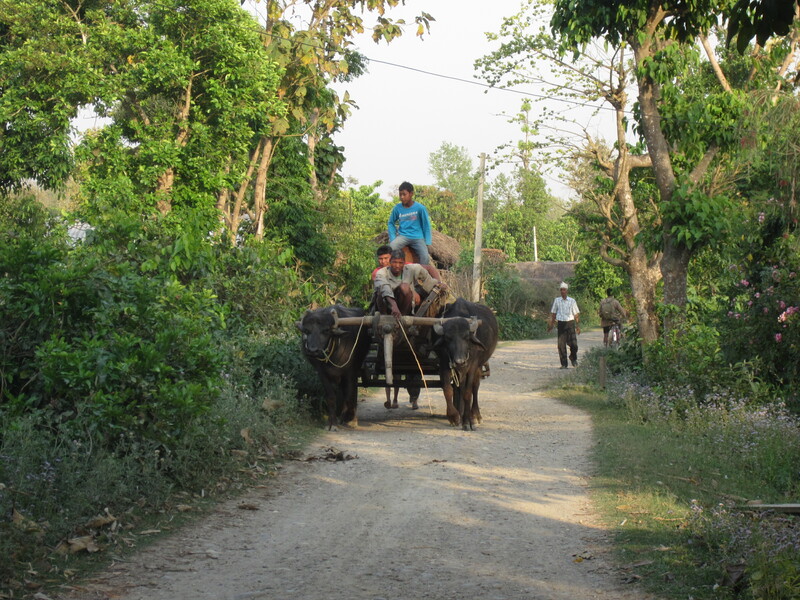 These turn out to be either very young or very old people hauling bundles of firewood back to the cook stoves. Firewood is scarce in most parts of the country, so alternative fuel sources have been developed. 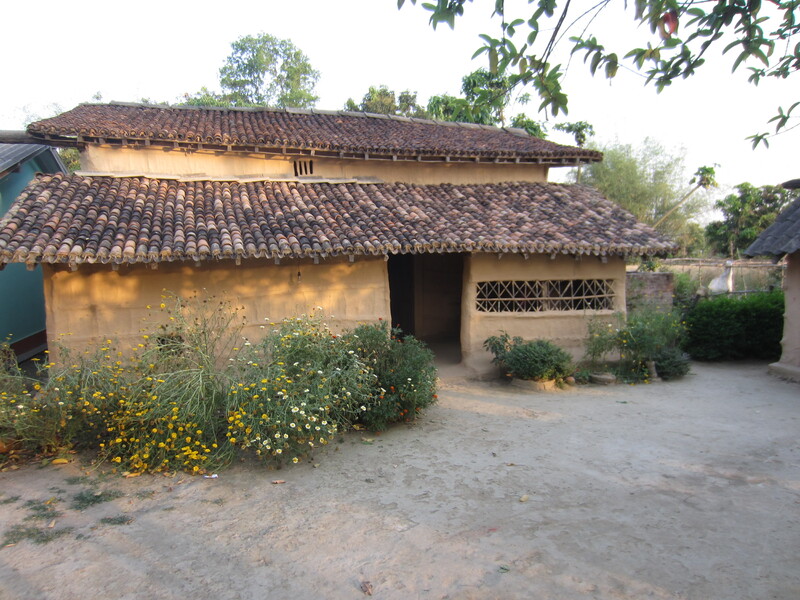 On the Terai we saw what looked like long mud bricks in regular stacks drying along the side of the road. These turned out to be the Nepalese version of Duraflame firelogs consisting of animal dung and the chaff extracted from the hulling processes described earlier. In other places, straight dung (yak chips) augments firewood as fuel for heating and cooking. But our favorite fuel source is the up and coming use of biogas. Animal and human waste are stirred up and placed in a digester under an airtight dome (usually buried underground). As these wastes decompose, gases are released and captured in the dome. Enough pressure is created by the gravitational push of additional dung coming down the shoot to push the gas out a valve at the top of the dome and to an efficient, single burner cook stove. These systems are being installed at the household level throughout the country. Of course the use of poop to create gas to cook food is intriguing, especially for a 9 and 12 year old boy, and the talk of developing other ways to generate and capture biogas has been seemingly endless. 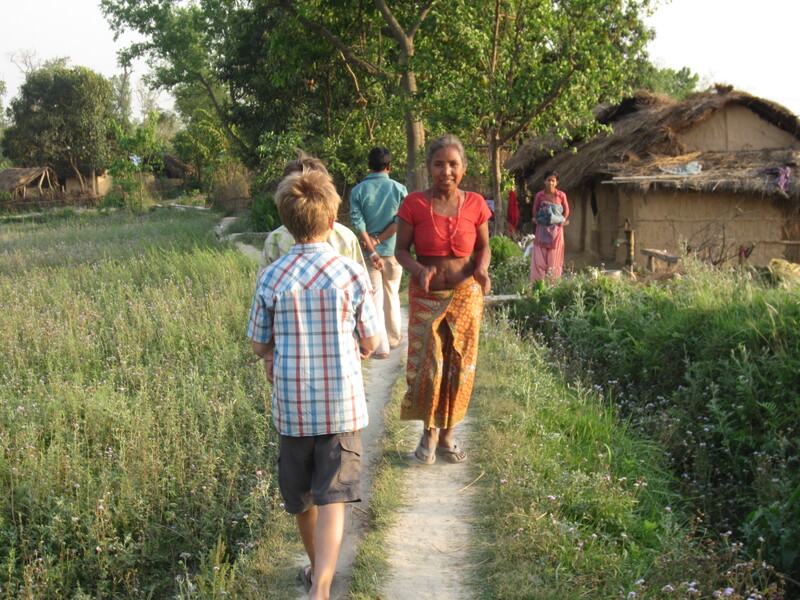 A final note on the importance of food in village life has to do with livestock. 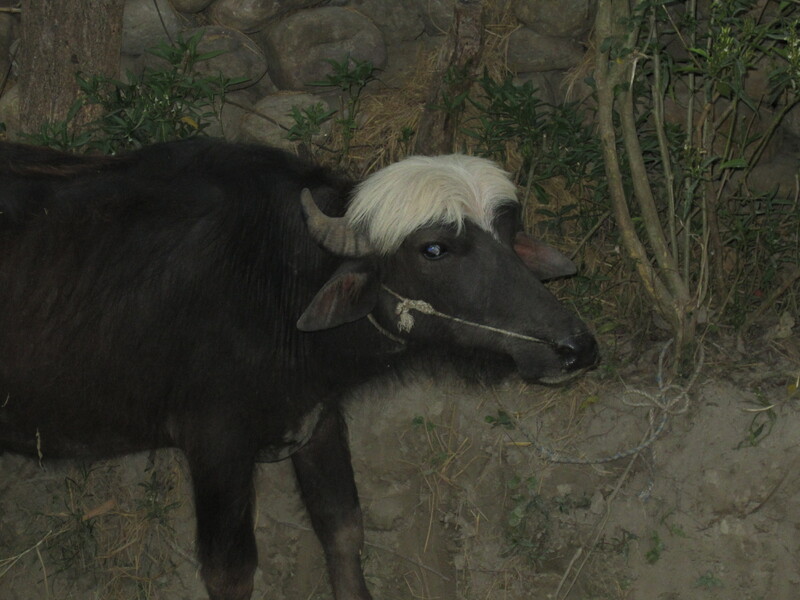 Animals are everywhere in Nepal: in the countryside and in the cities. Water buffalo are used for traction (hauling carts and tilling fields), donkeys and horses as pack animals (especially in the roadless mountain areas), cows and cow/yak hybrids are sources of milk, goats are also sources of milk and of meat, pigs are here (although they are less common in Nepal than in Southeast Asia), and chickens run wild (in fact the domesticated chicken has its origins in the wild chicken of northern India and the Terai) as do dogs (which don’t appear to be a food source here, unlike other countries we’ve visited on this trip). Tending these creatures is a focal point in the life of many villagers. Below a few pictures of these beasties.